1. PID control function for constant pressure. 2. Setting value and pratical value can be displayed simultaneously on monitor. 3. With temperature management and fan control functions to increase lifetime of cooling fan and save energy. 4. User can monitor temperature of drive and set pre-alarm level to forecast maintenance cycle of cooling fan. 5. 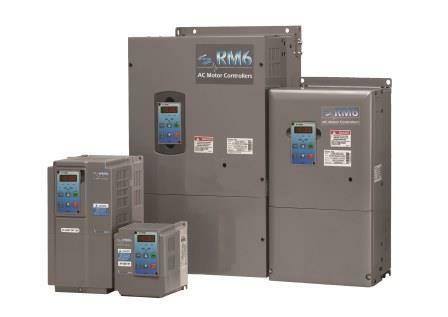 Allow RS-485 communication interface control (Modbus RTU communication protocol). 6. System fault protection includes OP, no Fb, OLO,etc. 7. 9 types monitor display of drive. 8. Above RM6-2050 or RM6-4075 series can replace fan directly. Reduce time of maintenance. 9. It is available to connect three independent monitor(DM-501) displaying status during operation. 10. 16 sets preset speed control. 11. Pressure switch (ON/OFF) control mode.